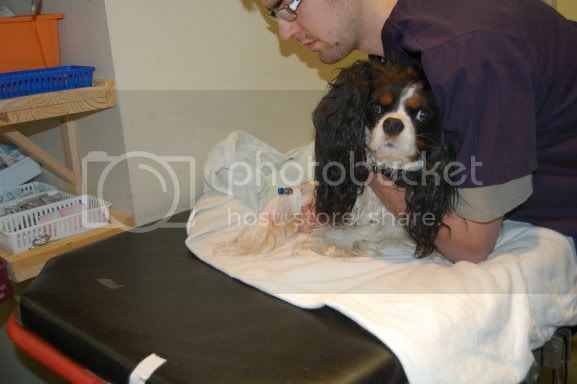 Approximately every other month, Cavalier King Charles Spaniel breeding dogs are MRI’d in Southern Ontario, at Matheson Blvd. Veterinary Services? A lot of breeders in the southern Ontario area, have not only had one dog MRI’d, but many now have completed MRI’s on all of their breeding dogs? Each MRI takes approximately one hour. 30 minutes for imaging, and 15 minutes to put the dog under, and wake them up. Many like to talk negatively about breeders not doing their part. Around here, and I’d venture to guess in many other parts of the world, it is the opposite. We are a small cavalier community doing the best we can, to ensure our breeds future. We’re not perfect, and breeding decisions are far from always black and white. What we are is committed, and passionate. 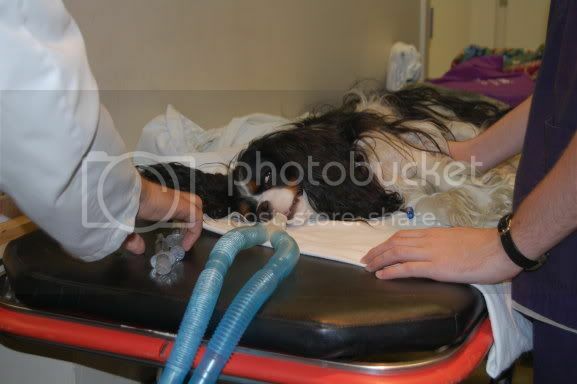 * MRI is an invasive procedure for a dog, as it requires them to be put under general anesthesia. 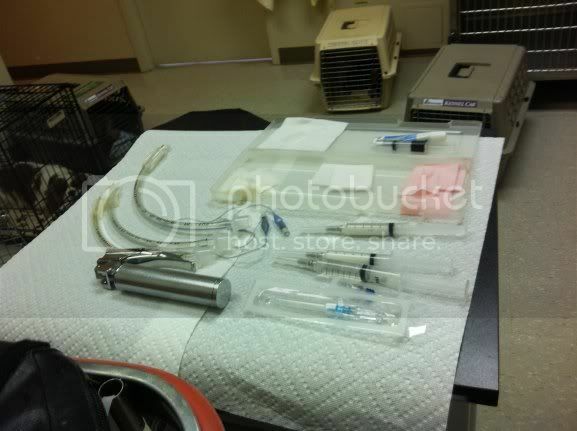 Anytime you elect to have your dog put under for any procedure, there is a serious associated risk. Dogs can, and occasionally do, react poorly to anesthesia. Breeders are a mess each time they elect to send a dog in for MRI. * MRI is very expensive. We are very fortunate in Ontario to have a wonderful partnership with Matheson Blvd. Veterinary Services to scan breeding dogs. Their staff is wonderful, and our cavaliers are treated like royalty. * MRI has enabled syringomyelia and chiari malformation research to progress and evolve. A lot has been learned, and we are still learning. * How the dog is positioned during its MRI, can impact the imaging significantly. CM, and SM may be missed completely due to poor positioning. * Microchips implanted in the traditional spot of between the shoulder blades, create a challenge when trying to produce an accurate, and clear image. If you are planning on MRIing your dog in the future, consider implantation lower on the shoulder. 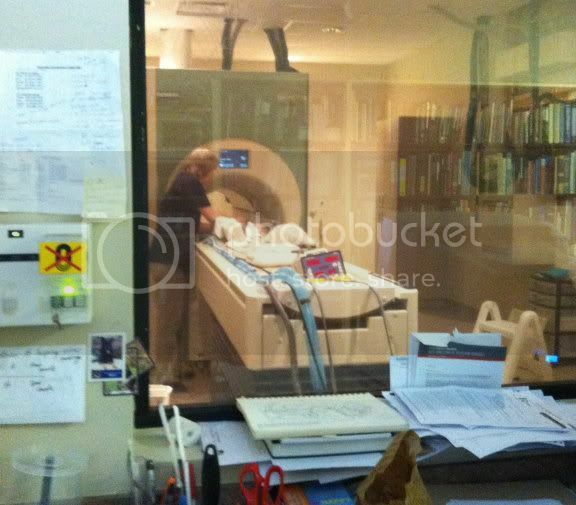 My good friend Karen Kennedy wrote an excellent article on the basics of MRI. She is a member of the CKCSCC health and education committee, and my girls adore her boys. Her article is easy to read, and understand. If you are wanting to learn more, you can find it HERE. Want to do your part to help our breed? Here is what you can do. * Purchase Cavaliers from reputable breeders who have completed board certified testing. Reputable breeders will be willing to show you those test results, and engage in open conversation about testing. Not all breeders have access to MRI, but at minimum should be completing board certified testing on heart, and eyes and following breeding protocols. Most do patella, and hips as well. Without wonderful homes, and dedicated pet owners, committed breeders are unable to do what they love to do, improve upon and better the breed. 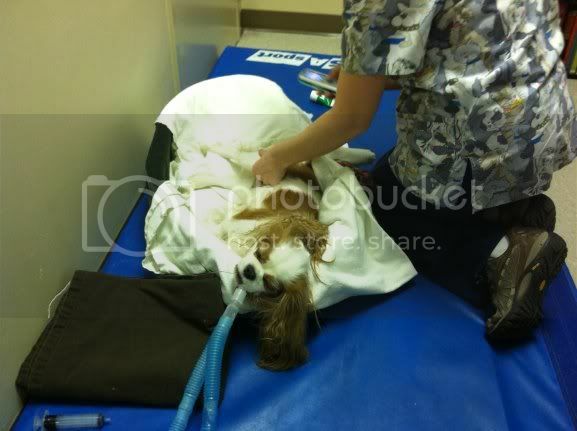 * Have a Cavalier who is over 6, registered, and has not shown any symptoms of syringomyelia? Consider having them MRI’d for research purposes. More info HERE, and HERE. Good for you for keeping the Cavalier King Charles breed alive! The best dog I had ever had (And to think I was going to get a golden retriever) boy was I NOT disappointed with a Cavalier! they are the most friendliest, energetic, happy going, fun loving, breed in the world! I appreciate for once that breeders will have to start to be countable for this breed, since it would be a utmost tragedy to all of human kind for the Cavalier King Charles Spaniel to go extinct due to bad breeding and greed.